Francis Knowles “Frank” passed away March 30, 2019, at his home in Ponte Vedra, Florida, surrounded by family. He was born in Wilmington, Delaware on July 20, 1930, where he grew up and ultimately settled with his wife, Suzanne, and four children. He and Suzanne retired to Ponte Vedra in 1993. Frank graduated from McDonogh School in Baltimore County, Maryland in 1949. He graduated Phi Beta Kappa from Duke University with a degree in chemistry in 1953. He was also President of the Lambda Chi Alpha fraternity. He earned his Master’s Degree in chemical engineering from University of Delaware. He met Suzanne while at Duke, and married her in 1954. Frank worked for the DuPont Company for his entire professional career. While at DuPont, he spent time in Niagara Falls, New York; Memphis, Tennessee; and Wilmington, Delaware. Frank spent the bulk of his distinguished career at DuPont in the area of research and development, and held various management positions. Frank was a lifelong member of the Presbyterian Church, and he and Suzanne were active members of Palms Presbyterian Church in Jacksonville Beach. 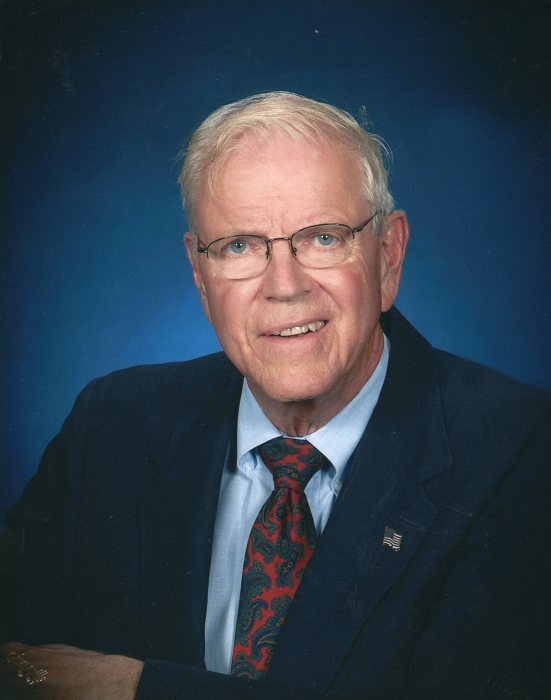 He was deeply involved in community service wherever he lived, serving on the board of the YMCA, as a Deacon in the church, as a library volunteer, and as a volunteer for Habitat for Humanity. He enjoyed classical music, and he and Suzanne were generous supporters of the Jacksonville Symphony Orchestra. He was a loving and devoted husband, and was married to Suzanne for over fifty years, until her death in 2005. He was a wonderful father and grandfather to his four children and ten grandchildren, all of whom looked to him for his deep wisdom and sage advice. Frank was also an accomplished painter, designer, and furniture maker. He designed three of his homes, and made countless pieces of furniture for his home and the homes of his children. Frank is survived by his children Ann Knowles Kramer (Jim), Jeanne Knowles Townsend (Tom), Marilyn Knowles Milley (Ethan), daughter-in-law Kim Knowles; grandchildren Will Kramer (Brystal), Dan Kramer, Nate Townsend, Laura Townsend, Sarah Knowles, Elliot Knowles, Ben Milley, Joe Milley, and David Milley; and brothers Richard and John Knowles. He is predeceased by his wife, Suzanne Boone Knowles, his son, John Francis Knowles, and his grandson, Alex Townsend. A memorial service will be held in the chapel at Vicar’s Landing, 1000 Vicar’s Landing Way, Ponte Vedra Beach, Florida, on Saturday, April 13, at 3pm. Memorial contributions may be made to Palms Presbyterian Church, 3410 3rd Street S., Jacksonville Beach, Florida (www.palmschurch.org), or Pianos For People, 3138 Cherokee Street, St. Louis, MO 63118 (www.pianosforpeople.org), a non-profit established in honor of his grandson Alex.